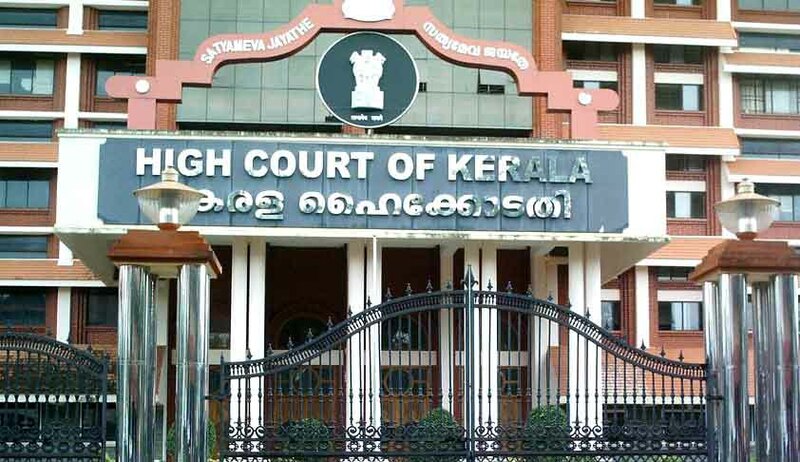 The Kerala High Court Advocate’s Association(K.H.C.A.A) has on Wednesday passed a resolution unanimously, against proposal by Delay and Arrears Committee of the High Court to conduct sitting’s on Saturdays. 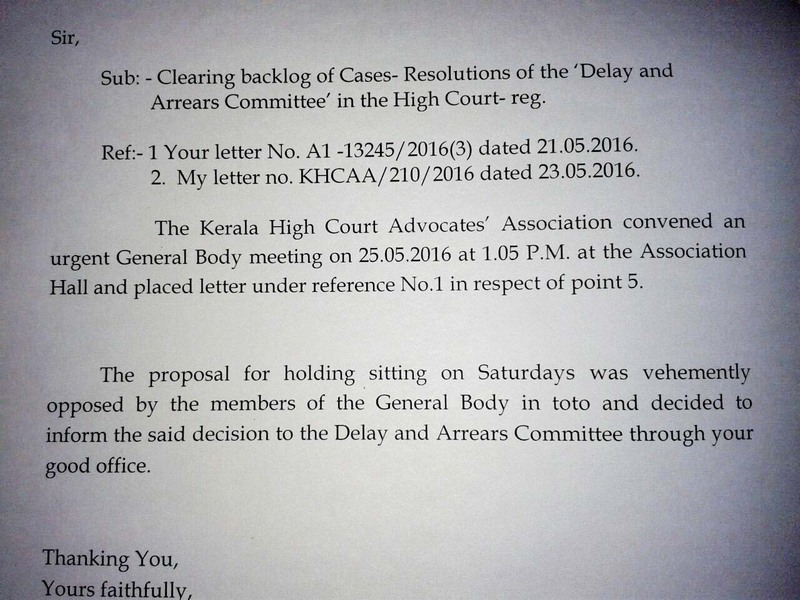 The suggestion to hold sittings on Saturdays was made by the Delay and Arrears Committee of the High Court,through a letter issued by Mr Ashok Menon, Registrar General, Kerala High Court, to the K.H.C.A.A, seeking to reduce the pendency of the cases. Pursuant to the same, a special general meeting of the association was conveyed by Sri S.U.Nazar,President,K.H.C.A.A. Lawyers who spoke during the meeting, vehemently opposed the preposition to conduct sittings on Saturdays on various tenable reasons altogether. They stated that the alleged move could be viewed by general public ,as an attempt to shift the blame of pendency of cases on the Lawyers . It was also pointed out that, it is on Saturday’s that lawyers get sufficient time to meet with their clients and to prepare themselves with fresh cases for the next week. The resolution was further met with stiff opposition from all lawyers alike on various other grounds too. Sri S.U. Nazar , President ,K.H.C.A.A,thereupon declared that the preposition to hold sittings on Saturdays, stood rejected by the unanimous decision of the Special General Body, meeting of the Association .It was further resolved to communicate the said decision, to the Delay and Arrears Committee,of the Kerala High Court, through Mr Ashok Menon, Registrar General , Kerala High Court. The plan put forward by the Delay and Arrears Committee of the high court was intimated to the association by registrar general Ashok Menon in a letter. The association put the proposition up for discussion in a special general meeting held on Wednesday afternoon. Lawyers who spoke during the discussion chaired by association's president SU Nazar vehemently opposed the move. Some of them alleged that the high court's plan is aimed at shifting the blame regarding high pendency of cases to the advocates. Efforts should be made to find the real reasons of the pendency prior to instituting special sittings during holidays, the lawyers said.